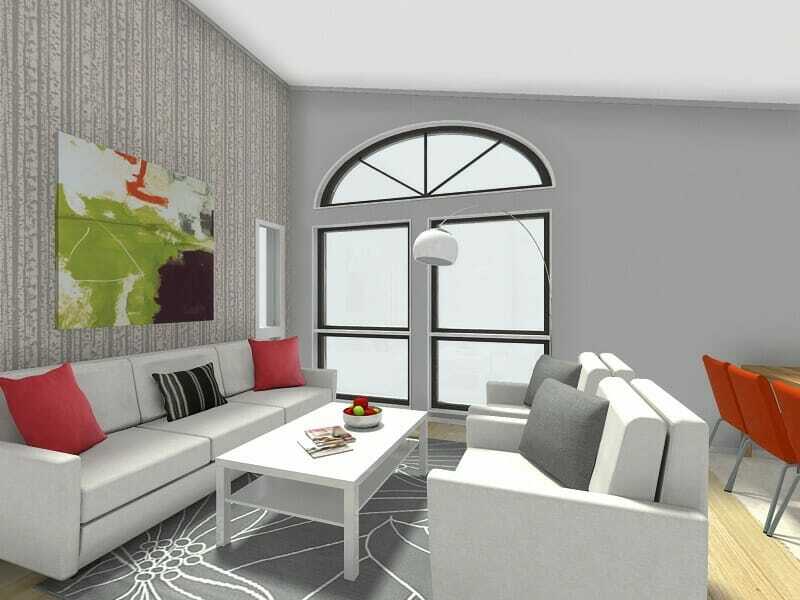 Want to design a room? 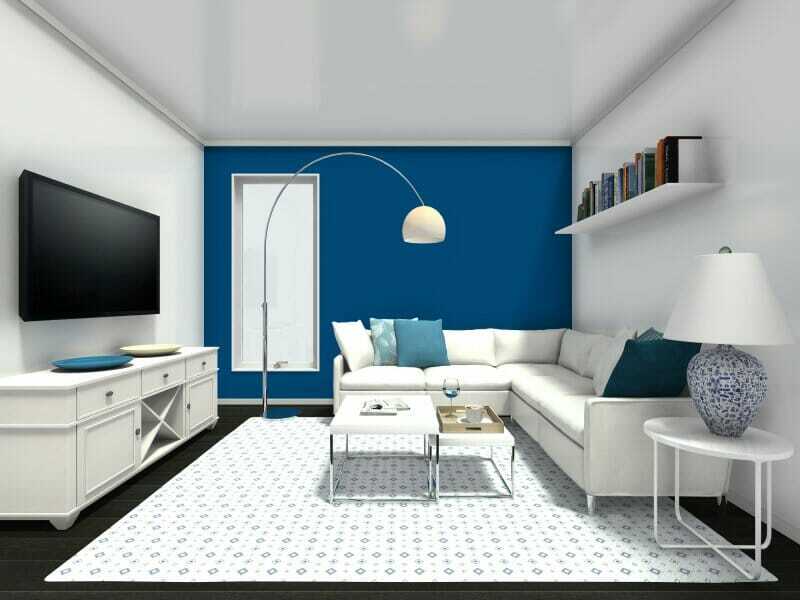 Try an online room planner like RoomSketcher Home Designer to bring your room design ideas to life! If you’re like me, you probably have a bunch Pinterest boards and magazine pictures saved of your room design ideas… but how do you turn those into an actual room design? There are a lot of great room design ideas out there. The trick is to know what will work in your actual room. One of the best ways to figure that out is with a room planner. 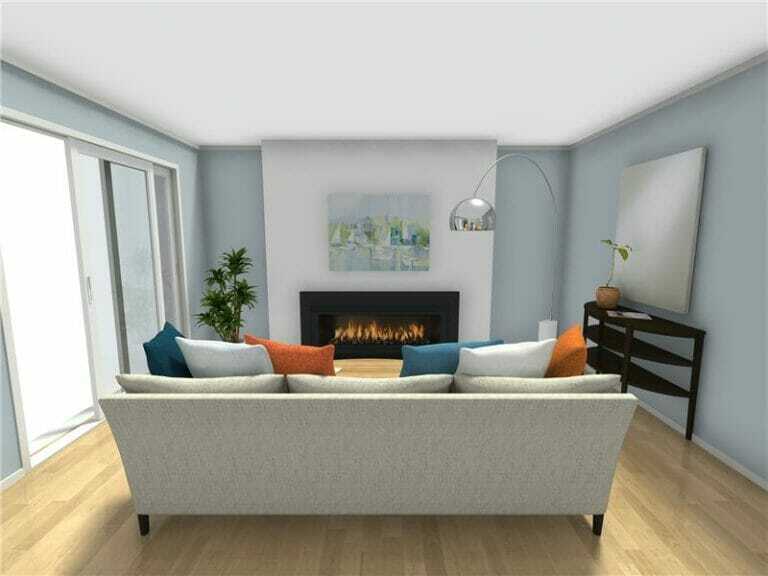 With a room planner, you can visualize your room design ideas in 3D and see what works! RoomSketcher Home Designer is an easy-to-use floor plan and home design tool that you can use to design a room online. 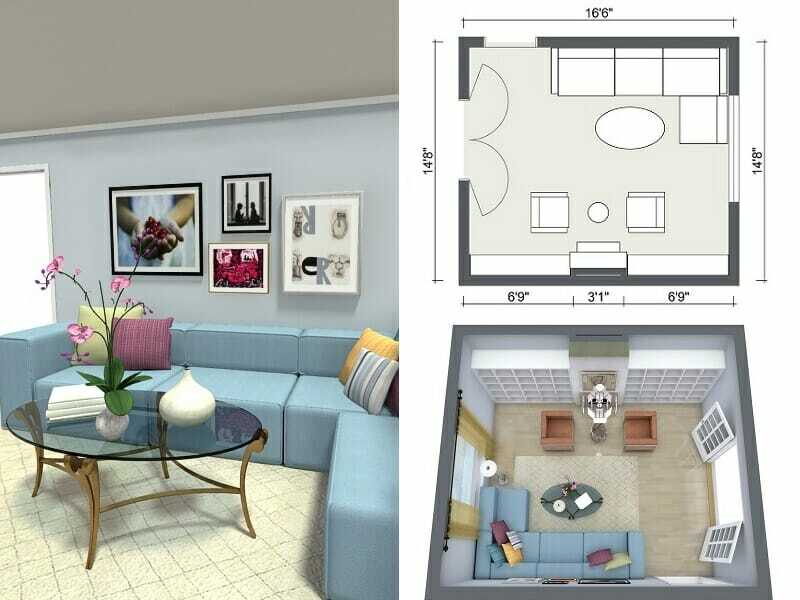 Create a floor plan, furnish and decorate it, and visualize your room in 3D. 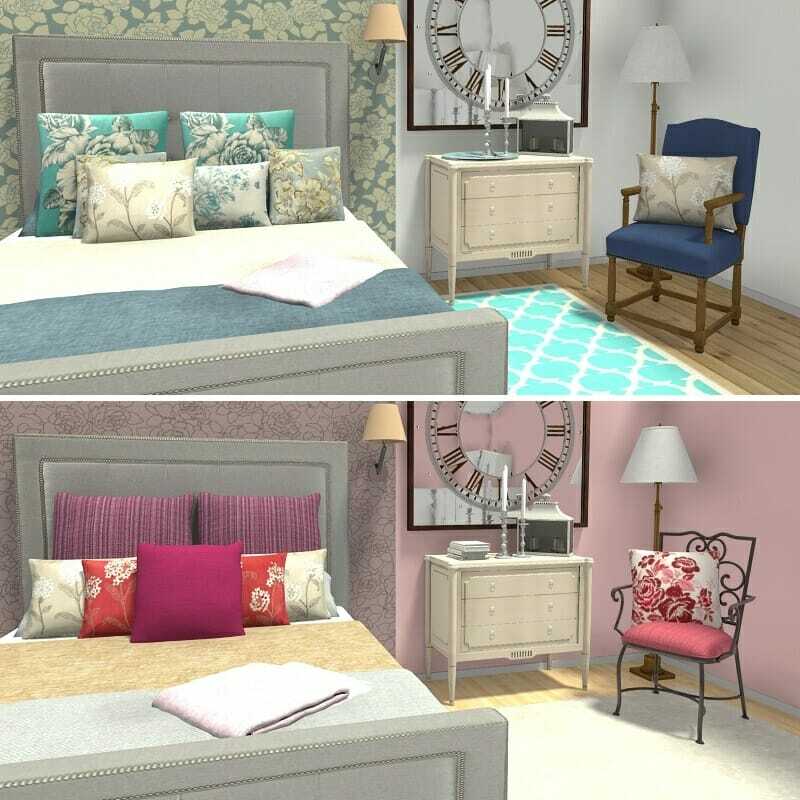 With Home Designer, you can design a room right down to the color palette and the accessories. Try different furniture layouts and decor options to find solutions that work – all online. In no time, create a floor plan and Snapshots of your new room design to show to your family and friends, or your contractor, decorator or salesperson. Integrated sharing features make it easy for you share and collaborate on your design online. Room Planning Tip: When you design a room it is always a good idea to create two floor plans – one of your existing room and one of your new design. Having both will help salespeople, suppliers and/or contractors to see more accurately what you need to create your design. This will save you both time and money when planning a room. And best of all, it’s easy to do in Home Designer – just create a new level to make a copy of your floor plan, and start your new design. Once your floor plan is ready, click on the Furniture button, to add furniture. The RoomSketcher Product Library has over 5,000 brand-name and generic products to choose from. All the furniture sizes are adjustable, so you match the measurements of furniture you already have or that you are considering buying. This will help you determine the perfect size of the furniture you need. Room Planning Tip: When planning a furniture layout, always start by adding the largest furniture items first. Use these to determine your arrangement options. Then, add in smaller furniture pieces after. This will save you time and effort when creating your furniture layout. Room Planning Tip: An accent wall is a great way to create a focal point in a room. Add wallpaper or different paint color on a single wall to create an accent wall. Decorate your room. Experiment with furniture styles. Try out different color schemes. Then accessorize with artwork, lighting and home decor to create that perfect look. 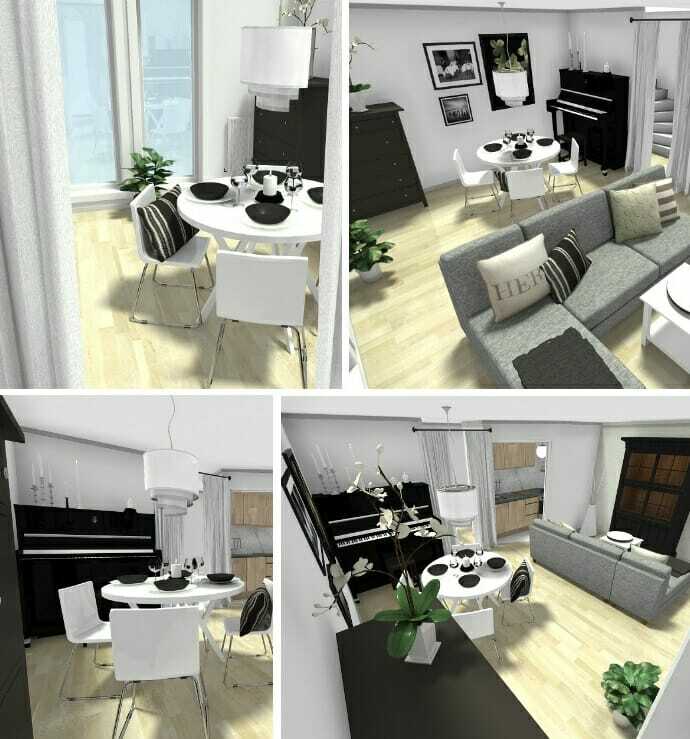 The best part of this room planner is that you can visualize your interior design ideas instantly in 3D. While you draw your floor plan, a 3D model of your room is being generated at the same time. 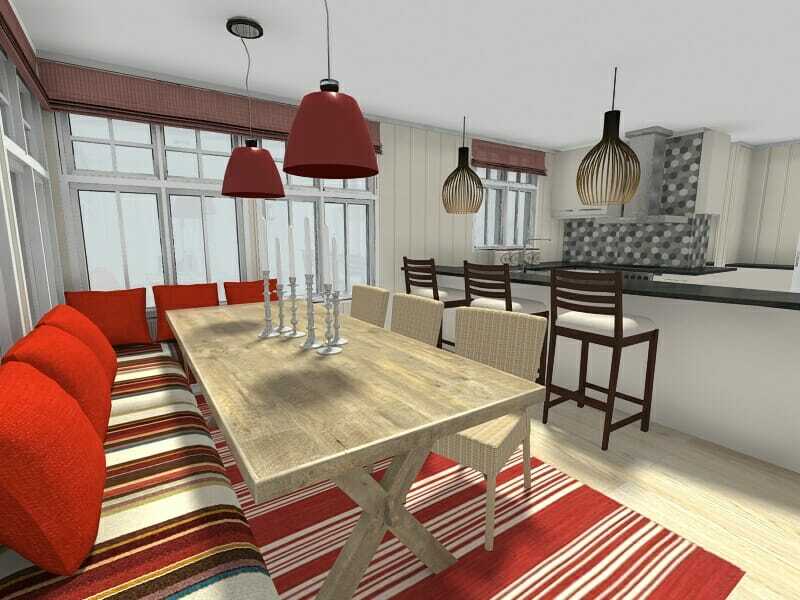 View any part of your room in 3D with the integrated camera tool, and create Snapshots of your design ideas as you go. You can adjust the camera height and aperture to get a wide-angle view of your room or zoom in to see details close-up. Save your favorite Snapshots to the Image Gallery to compare design options and to choose the ones that will work best for your room. Get started on your room design today this fantastic and easy-to-use floor plan and home design software. 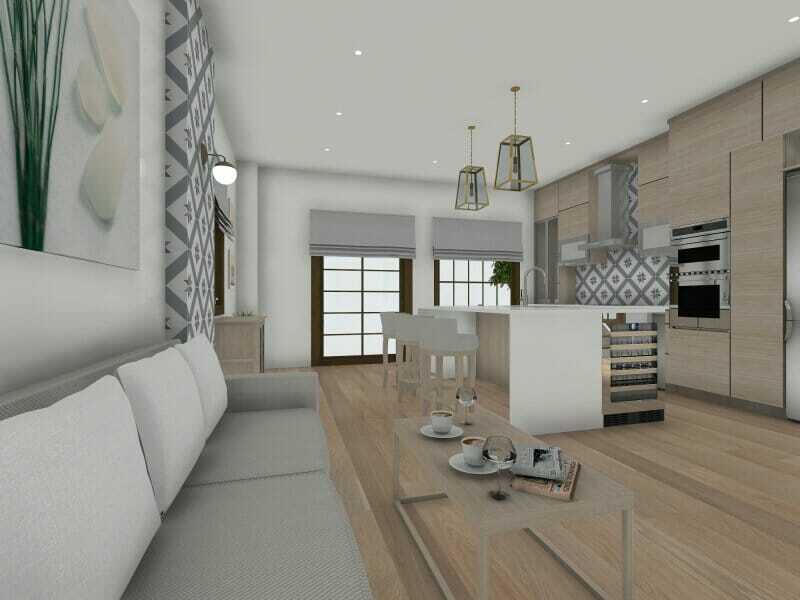 Simply create a free account, draw your floor plan, furnish and decorate it, and see your design in 3D – it’s that easy! For additional features, such as stunning 3D Photos, high-resolution 2D and 3D Floor Plans, and Live 3D viewing – simply upgrade to a VIP or Pro subscription at any time. For more room design ideas, tips and inspiration – check out the recommended posts below. Frankie Elmquist is an interior architect and our Home Design Specialist. She’s worked around the globe for some of the top design firms in the world and now she brings her expertise to you.